The Ryerson Students’ Union (RSU) long-delayed Wellness Centre is finally opening next month, but might lack its Muslim chaplaincy. In August 2016, the RSU announced it was going to renovate the Used Book Room in the Student Campus Centre basement to turn it into the Wellness Centre, which was initially dedicated to peer support and mental health services. The RSU budgeted $40,000 for the space and estimated the centre would be complete by September that year. But by the opening date, construction had not even started, and the RSU pushed the opening date to January 2017, then September, and finally winter 2018. The long delays were in part due to the initial construction job not being properly executed in accordance with fire and safety regulations. “The renovations last year were completely botched, so we had to make the physical space safe,” said RSU president Susanne Nyaga, who’s currently in charge of the project. Now, a year-and-a-half and about $54,000 later, the Wellness Centre is officially opening on Feb. 5. Nyaga said her union has the program schedule for the space and is waiting for the furniture to come in. The centre, which is separated into a large meeting area and an office, will provide extra space for support groups, meditation sessions, (Nyaga said the RSU is looking to have the sessions run by Buddhist monks) talks on mental health, intersectionality and women’s health, as well as a program on sexual education for Valentine’s Day. The RSU is also looking at the logistics of creating nap hours at the centre, or finding dedicated nap space on campus. The Eyeopener previously reported the centre would also house Ryerson’s first Muslim Chaplaincy (MC Ryerson), which would provide Muslim students on campus a place to receive spiritual guidance, education and moral support. But the delays have forced them to find another space to work—MC Ryerson currently operates through a space at the First Evangelical Lutheran Church on Bond Street. Yasin Dwyer, its chaplain, said it has been difficult to keep up with student demand for the chaplaincy. Dwyer said the chaplaincy hasn’t determined if it will move into the newly completed Wellness Centre. When The Eye asked him about the opening, Dwyer said it was the first he’d heard of it. Nyaga said the Wellness Centre’s office will be used by chaplains of other faiths and denominations. After the opening, Nyaga is planning a town hall for students and Ryerson administration to hear their thoughts on the centre and what services it could provide. 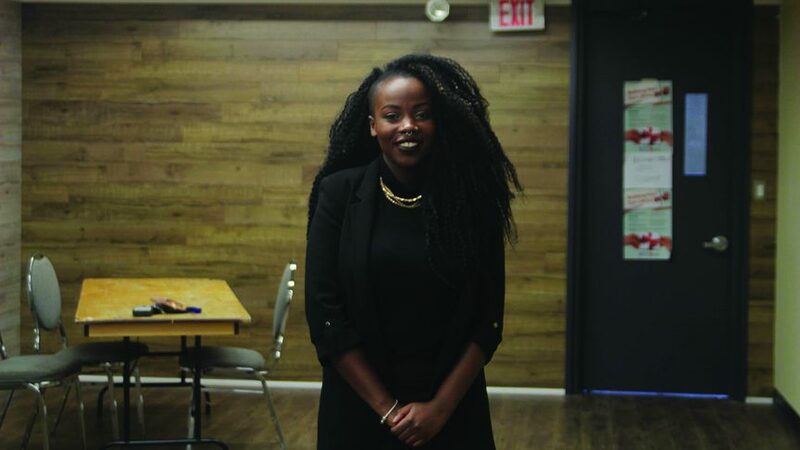 “I also hope this is a way that Ryerson can see that if the student union has to take time and resources to provide the space for student wellness, then they also need to upgrade the time and resources they’re putting in,” Nyaga said.